Our polyethylene storage tanks range in size from 12 gallons to 20,000 gallons and are manufactured in a variety of shapes and styles. Common uses for our Liquid Storage Tanks include the storage of fertilizer solutions, agricultural and industrial chemicals, water, liquid feeds and plant foods. All of our tanks are rugged, corrosion resistant and lightweight with no seams, welds or joints to leak or rust. 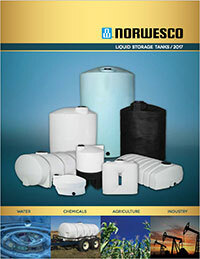 Whether you're looking for a below ground septic or cistern tank or an above ground water tank, you're sure to find it among our wide selection of tanks. The rotational molding process allows for a one-piece, seamless tank that is rugged and impact resistant. Our tanks are manufactured to strict quality guidelines to ensure years of high-performance use. Our vertical Water Tanks are manufactured to strict quality guidelines to ensure years of high-performance use. The black or green color limits light penetration, which reduces the growth of waterborne algae. 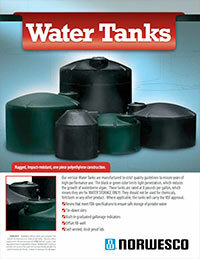 These tanks are rated at 8 pounds per gallon, which means they are for WATER STORAGE ONLY! They should not be used for chemicals, fertilizers or any other product. Where applicable, the tanks will carry the NSF approval. 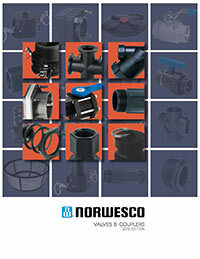 Norwesco is your complete source for the high-performance products required for your fluid handling needs. 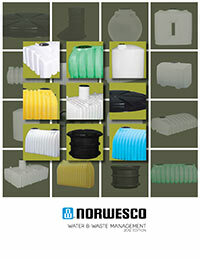 We offer a large selection of accessory items to compliment our tanks.